During Annapolis Beer Week I had an incredible beer breakfast at Fado Irish Pub. The dishes ranged from locally baked pastries to wild boar sausage with sweet potato latkes. Every dish was paired with beers from Fordham or Dominion Brewing and there were a few pairings that were so good they made me reevaluate the qualities of the beer. But I’m not actually here to write about the beer breakfast, or how ridiculously good the the Old Dominion Candi Tripel tastes after aging nine months. One dish was grapefruit which had been glazed with a honey that had been infused with Double D Double IPA. At the end there was plenty of leftover honey, and Bernie, Fado’s General manager, had us take some home. So what did I do with all that IPA infused honey? 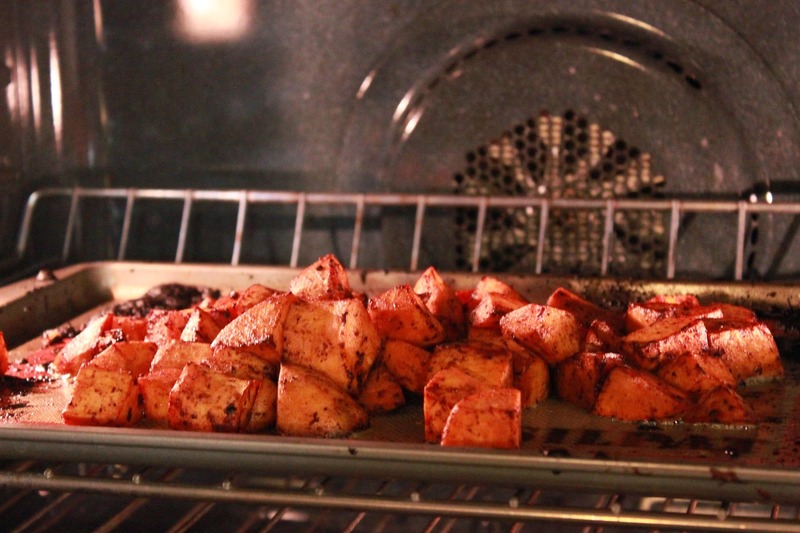 I used it to glaze sweet potatoes that I then roasted with cinnamon and black pepper. These sweet potatoes were so good that I had to infuse my own honey so that I could make the sweet potatoes again. Below is what you’ll need to make your own. When picking an IPA I prefer to go with something that is intensely hoppy but not too incredibly bitter. Reducing the IPA will destroy some of the aroma while also concentrating the bitter hop flavor. Pour one bottle into a glass. Smell the hoppy aroma. Now have a sip. You deserve this. Now pour 8oz of the second bottle into a small sauce pan and place over low heat. Bring to a very low simmer, never letting it truly boil, and reduce to about half the original volume. By now there should be room in your glass for the leftover 4oz of IPA. Go ahead and top up your glass. Remove the beer reduction from the heat and stir in the honey. Make sure everything mixes together very well. Place the IPA/honey blend into a lidded container and refrigerate. Combine all ingredients in a mixing bowl and toss to cover. Place in a roasting pan and roast in oven for 25-30 minutes or until a fork easily goes through the potatoes. Take them out and turn them occasionally to keep the honey from burning. Transfer to a serving dish and drizzle lightly with some additional honey and give it a little more black pepper. 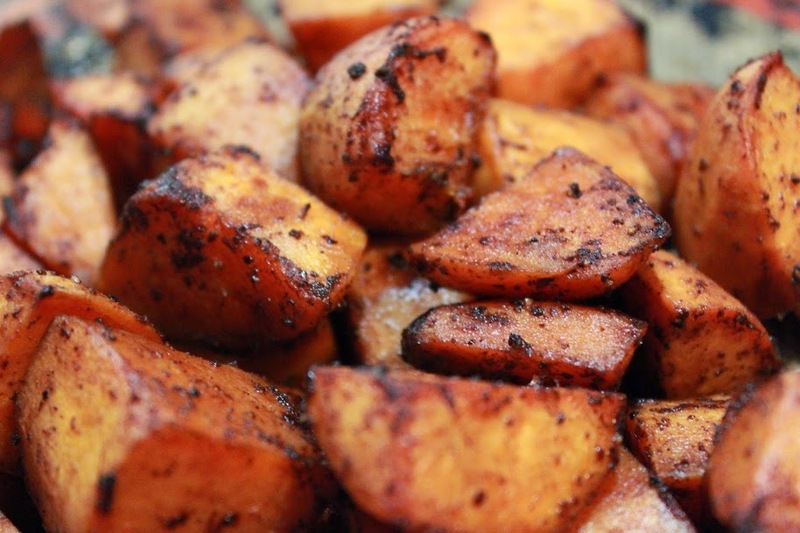 Throw the sweet potatoes on a plate, pour yourself another beer, and enjoy. Or serve them up as a side dish like in the photo below. If the photo looks familiar it’s because that’s the same meal where I made fresh spring hop shoots sauteed in butter and garlic. Check out Chesapeake Inspired magazine’s Thanksgiving beer pairing guide for the perfect beer pairing.